Rarely do I make food that is picture worthy. But this sandwich was so beautiful not even my crappy phone camera could mess it up! It tastes even better! I am loving my homegrown tomatoes! I LOVE pictures of food. 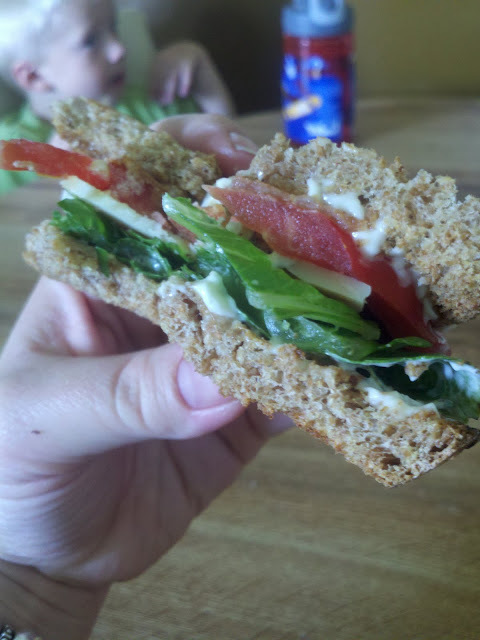 The sandwich looks so yummy and healthy! !